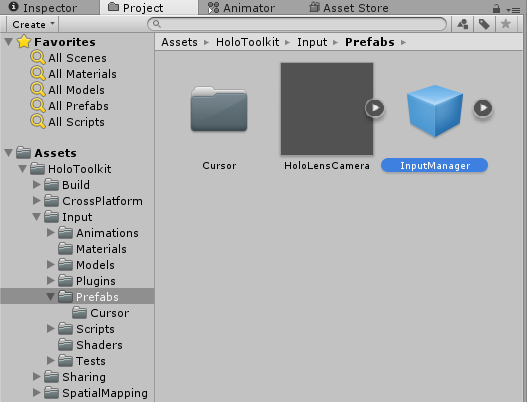 Input system that manages gaze and various input sources currently supported by HoloLens, such as hands and gestures. 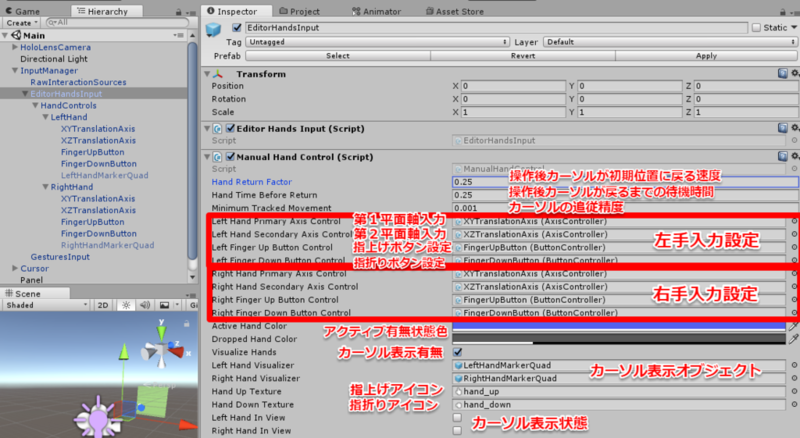 This also includes a fake input source that allows you to simulate hand input when in the editor. By default, this can be done by holding Shift (left hand) or Space (right hand), moving the mouse to move the hand and use the left mouse button to tap.